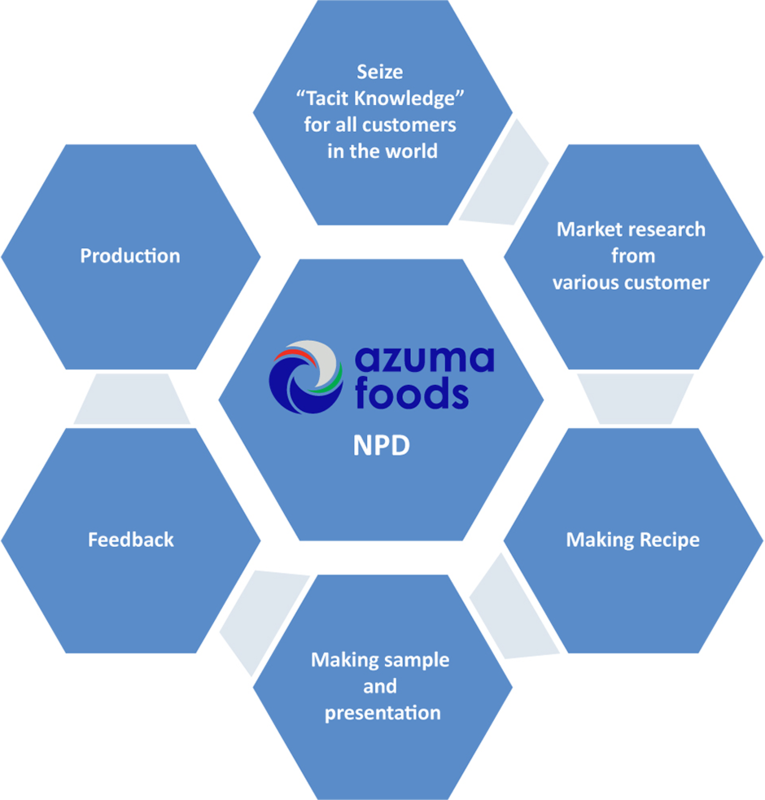 New Product Development | Azuma Foods International Inc., U.S.A.
“Food culture” is becoming diversified in America as well as the rest of the world. We are responding to customers’ diverse needs in a variety of ways. The philosophy of our commercial product development department is to develop a “new food culture.” This idea is the driving force in all our daily efforts. While we are ever mindful of the popularity and attraction of Asian food in the market today, Azuma Foods is not limited by tradition in our continual search to develop new products. In fact, we are constantly gathering information from around the globe in order to better understand our customer’s wants and needs. To develop the best products for our customers, we start with the finest ingredients. Our goal is to create the perfect balance between taste, quality, safety, and cost. 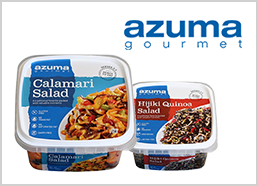 Azuma Foods is not only working to be a “creative group for the new food culture,” but is striving to become a leader in creating exciting taste experiences for the world.